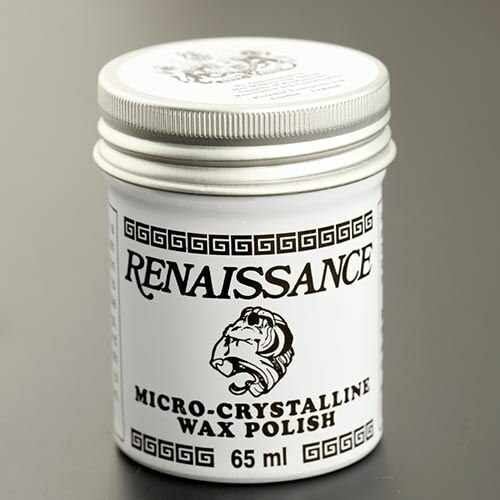 Renaissance Wax Polish is the finest grade available on the market today. It is used in the worlds finest museums to protect and preserve. Now you can apply this same protection to your finishes such as liver of sulphur, Black Max, on metal clay surfaces. Simply apply a thin coat, rub in thoroughly, allow to dry until it turns white then buff to it's final finish. A little goes a long way!